Jeff Bullas recent article on 'How do you use Twitter' got me thinking. As he mentions Twitter was never really ment to be a social network, but it may well be quickly turning out to be most efficient social network of them all. 1. It allows me to listen to very specific people about very specific topics. 2. It allows me to share, again to very specific people (or groups) and about very specific topics. 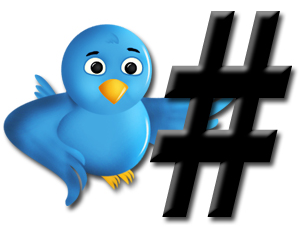 The power of all this lies in the use of the # (hashtag) with which you can tag your tweets. By this, more than any other network, Twitter has given me the tool to find information that I am looking for, to get in contact with people that have something to share and are willing to share it and to stay as up-to-date as possible about the subjects I want to know and care about. But where do city marketing and Twitter meet? In my hometown of Delft (The Netherlands) the local DMO does twitter about what's going on (concerning tourism) in the city, but there seems to be no consequent use of the hashtag '#Delft'. Important shareholders and partners in the marketing and promotion of Delft (city council, university, hotels, restaurants, tourist attractions, etc.) are either not using twitter or again do not consequently use '#Delft' to increase the online visibility of Delft and thereby their own. My point (and question) is: would it not be a great idea to - in some way - coordinate the use of a specific hashtag with all partners and shareholders involved for city marketing reasons? The marketing efforts of the local DMO could be substantially supported if not just they alone, but all partners involved would share and help in putting the destination on the map. I have not yet seen an example of a destination where this coordination takes place. Would love to hear of any examples and on whether you think this strategy might work or not. Locals and businesses around Portland not only use the hashtag to promote Portland, they also watch for it and answer questions tweeted from other locals and visitors. Thx Anne for this example, that's exactly what I mean. Great to hear that this is possible. And how wonderful that it is also closely watched to help others. Truely a very social tool. Check out #btv for Burlington, Vermont. It sounds like we use our hashtag in a very similar way to Portand. I can't imagine doing business here without it!